EFD Kenya holds a one-day meeting on research and policy interaction as part of EfD’s annual cross-country visit to the EfD centres around the world. On Monday 12th January, EFD Kenya held a one-day meeting as part of EfD’s annual cross-country visit to the EfD centres around the world. The purpose of the meeting was to share and receive feedback on ongoing research and planned future research on environmental policy that EfD would be undertaking. EfD’s recent research output on topics including forestry and aspects of water policy, was presented by senior research fellows including Dr. Wilfred Nyangena and Prof. Peter Kimuyu. 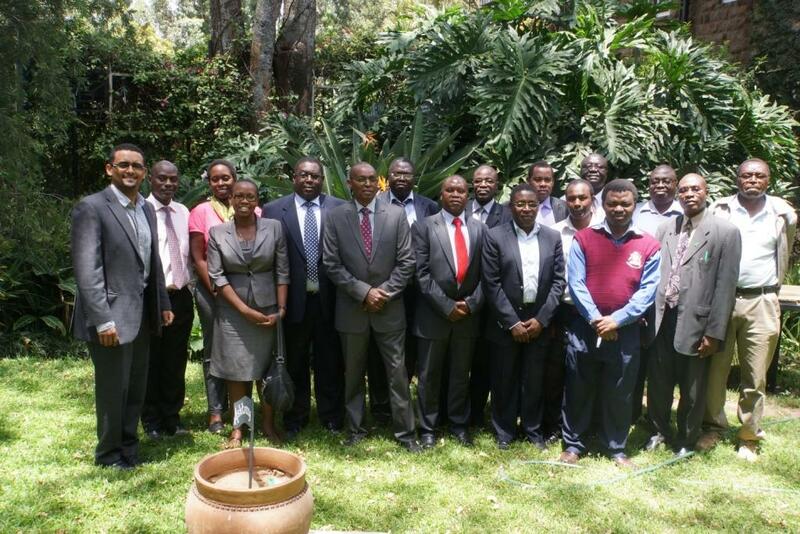 Stakeholders from relevant ministries, parastatals, senior research fellows and PHD students were represented. In addition to presentations by EfD research fellows, Participants discussed various issues including progress, challenges and ideas on policy relevance of the projects., Additionally, there was a panel consisting of members of the workshop that yielded very productive discussions on the institutionalization of research, the need for capacity needs assessments in order to focus policy research further and the role of academia in research and policy-making. The experience was fruitful for all involved and EfD-K looks forward to interacting further with all involved.